The General Assembly adopted the cardinal as the official bird of Ohio in 1933. Its red plumage, high crest and beautiful song made it a fitting symbol of the state. 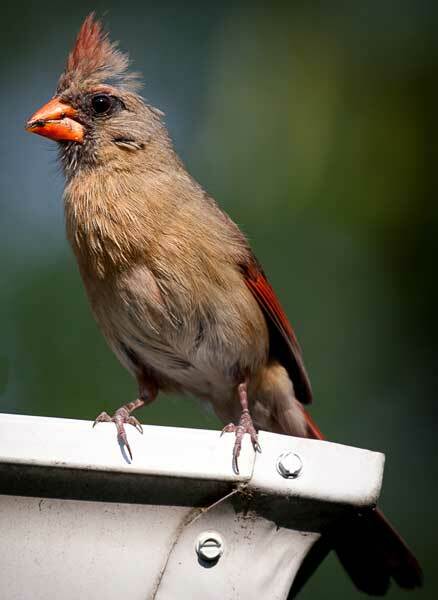 You might suspect that Ohio had lots of cardinals back when the state was mostly forests, but that would not be true. Cardinals actually prefer that middle ground between forests and open areas and since Ohio was most forest before the early settlers moved in, there were actually almost no cardinals. It wasn't until the forests started to be cut for fuel and construction that Ohio became suitable for the bright red birds. In fact, they became very popular. In 1882, Dr. John M. Wheaton, a naturalist and ornithologist living in Columbus, did a count of the red birds. During a 1 hour period he counted over 100 cardinals. During this time there were so many red birds in the state that the birds were trapped and sold as pets. 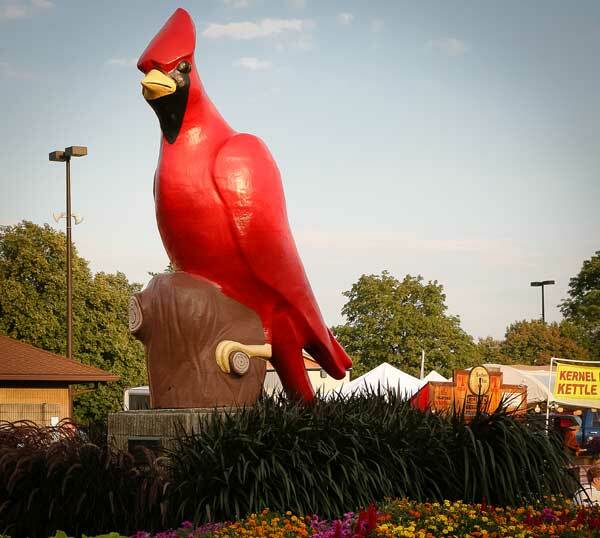 A familiar site to Ohio State Fair Visitors is the giant cardinal on the north end of the fairgrounds. The cardinal has long been associated with the fair and has been on display for countless generations in one form or another. 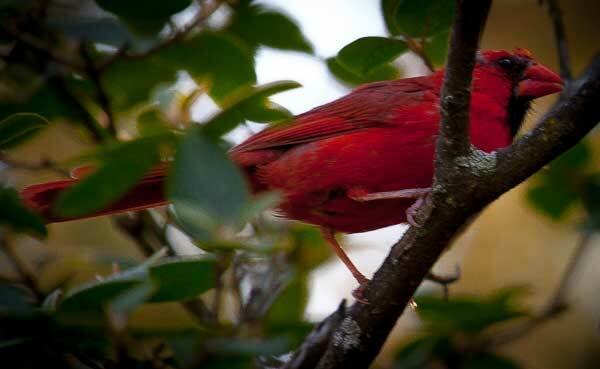 Is also known as the redbird, is commonly found today from around the Mississippi River east. The male cardinal's feathers are a brilliant red. Although many birds migrate south during the winter months, the cardinal remains here in Ohio year round. They have a monogamous relationship with the female partner. During the incubation period the male feed their partner. Perhaps not as distinctive as the male cardinal, the female does retain some of the red marketing associated with the cardinal.